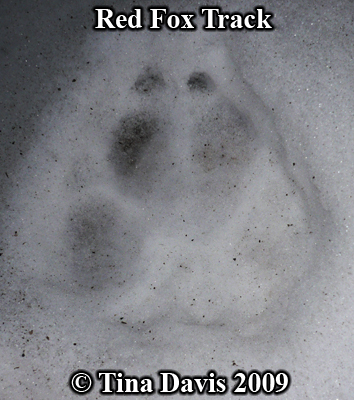 Red fox tracks show four toes and claws. The foot of the red fox is covered with hair, so toes can be indistinct. Red foxes have callous pads on their toes that sometimes show up in the prints. There is also a chevron-shaped callous pad on the heel pad of the foot. 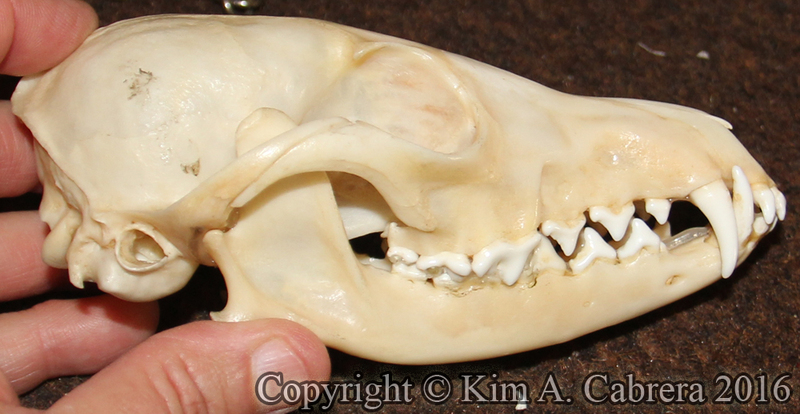 No other canine has this, which makes identification of the red fox track easier. There is usually a lot of space between the toes and the heel pad, making the track appear open. Tracks commonly run in straight lines, one print in front of the other. The hair on the foot may be visible in the track. In winter, the hair is thicker, making the tracks more indistinct. A red fox track in snow. Photo donated. Thank you! 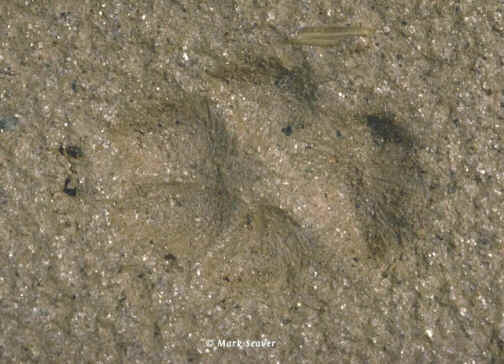 This red fox tracks shows several features that help to identify it. In the photo below, the features are indicated in color. 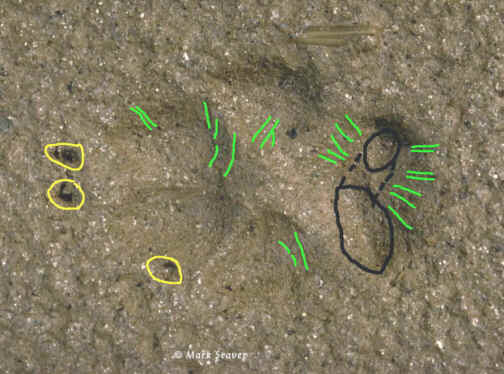 Yellow encircles the claw marks that identify this as a canine track. (Four toes, somewhat oblong in shape.) The green lines show marks from the hair on the foot. The black lines encircle the chevron-shaped heel pad that identifies this as the track of a red fox. Red foxes are primarily nocturnal, but will hunt by day. Foxes do not travel in packs as wolves do. They hunt alone or in family groups. Red foxes prefer forested or open country. They have been found in southern California, but are not native there. 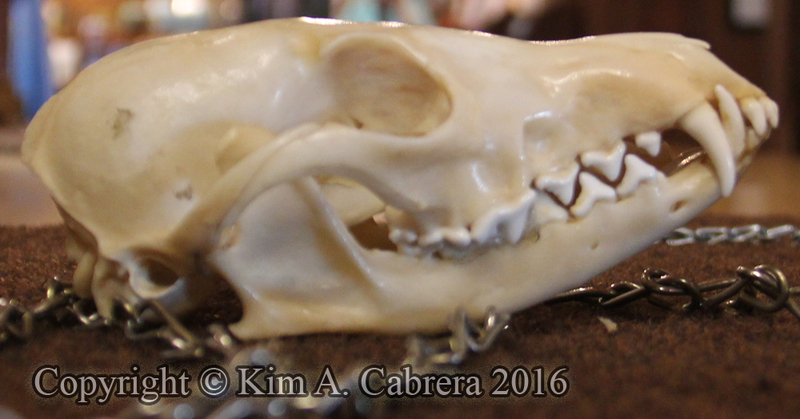 Foxes are omnivorous. They eat small mammals, birds, insects, eggs, fruit, nuts, grains, and even human garbage. 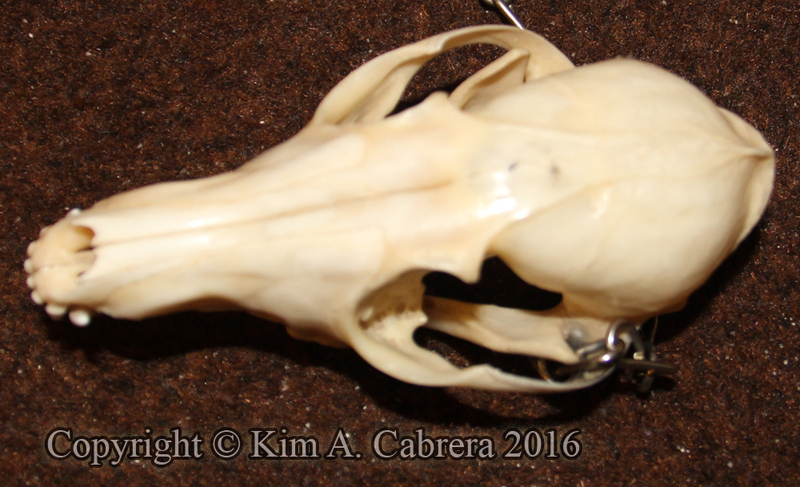 Rabbits are a preferred prey animal. Track photos courtesy of Mark Seaver. Find fox posters, greeting cards, t-shirts, hats, and more in my new store. I have heard stories of red fox dens found beneath freeway overpasses in southern California, but have yet to track one. Foxes are fascinating animals and are very playful. Of all the canines, I think the red fox has the most colorful coat. Got a fox story? E-mail me and tell me about it.